I recently downgraded from a 120 to a 55. 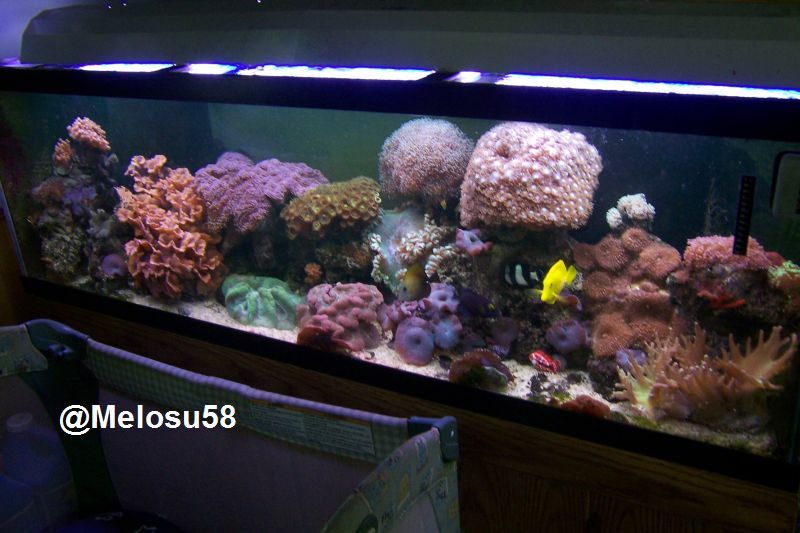 I moved all my rock over, added a 3" sand bed and replaced my metal halides with LED. The tanks been running about two weeks now and my Duncans are not coming out and it looks as though I've already lost one of the heads and its showing signs of being bleached. My galaxia it turning a brown color with bleaching on the very bottom. My trumpet coral seems to be beginning to bleach. However, my kriptonite trumpets are as green as ever, my pulsing Xenia are fine, my pipe organ is fine my two star polyp colonies are also fine. Could the ones that are beginning to bleach being starved? I also took 55 gallons from said 120 when downsizing. I haven't been able to check parameters as I'm waiting for my new test kit to arrive. I know it may take some time, but 2 weeks and my Duncans still have not come out, I'm starting to get a bit worried. Most likely from the lighting change. Leds penetrate water much more effectively than bulbed units and them at full blast can easily cause such an issue. Could also be due to the flow going on. If it is too direct in the new system it could cause such stressful irritation. Can we see some pictures of the bleach corals. So, do you think maybe I should crank my LEDs to something like 75%, and see what happens in a week? It's possible it may be the change of lighting but it could also be your KH has changed dramatically, as usually when bleaching is caused by lighting corals usually turn white from the top downwards where the Galaxia is turning white from the bottom indicates so maybe it's more of a KH fluctuation, also with the Duncans when I had mine too high The heads just started to turn white but still stayed out and that is under LEDs so it could be just down to your water preferences are all out of whack at the moment and things just need to stabilise again. And the best way to do that is to keep testing your KH on a daily basis for awhile. I run my LED`s at 75%. Full power they start to bleach and start looking bad. I suggest those telling you to turn down the leds are right. Flow could be a factor as well. But leds look darker while delivering the same amount of useful radiation.